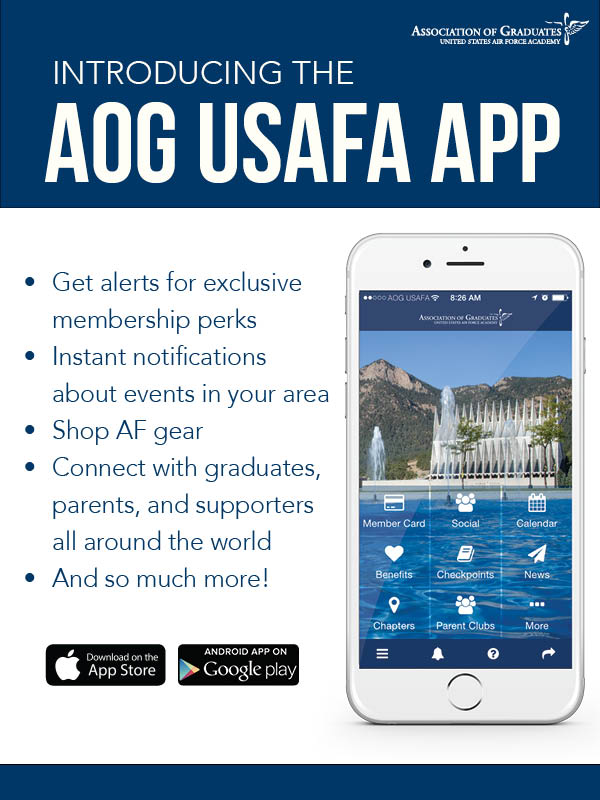 The AOG is proud to introduce the AOG USAFA App, this app became available over the summer last year - some of the features of this app include being able to view your membership card, following the AOG on Social Media, upcoming news and so much more! If you haven't already, go to your app store and download for free today! This app is available on your phone and tablet!